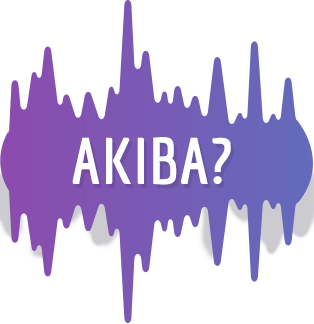 So, what the heck is an "Akiba," you ask? Well… if you are in fact asking that, then this might not be the right game for you. Weeb more, noob! …Ahem. Sorry. Everybody's got to start somewhere, I suppose! So, let's go over the basics, shall we? Akiba is short for Akihabara, which is itself a shortened form of what used to be called Akibagahara. And no, the swapping of H's and B's in that progression is not a typo; for all intents and purposes, B and H are the same letter in Japanese, just accented differently, so each iteration is simply removing one letter to shorten the word and changing the pronunciation a little in the process: 秋葉ヶ原 → 秋葉原 → 秋葉. Akihabara, then, is one of Tokyo's many districts, located in the city's Chiyoda ward. What this means in layman's terms is, it's one of the gajillion smaller towns that make up the piecemeal behemoth known as Tokyo. Ironically, the name "Akihabara" directly translates as "Field of Autumn Leaves," though you'll be hard-pressed to find many leaves at all in the neon jungle of modern Akiba. In fact, you'd be hard-pressed to find any leaves in Akibagahara when it first got its name in 1869, too, since they probably would've all been burned to ash at that point. In the era between World Wars I and II, Akihabara became a commercial destination for people seeking household appliances and other electronics of the day, earning it the nickname "Electric Town." After World War II, this focus on cutting-edge electronics (along with the district's status as something of a governmental blind spot) helped turn it into a black market paradise for a time, too, which played no small part in bringing new life to the nation's tenuous postwar economy. Akihabara maintained its reputation as Japan's #1 destination for household appliances until somewhere around the 1980s, when being the household appliance capital of the country kind of started meaning a whole lot less than it did decades earlier. The market shifted with the times, though, and Electric Town began focusing its attention on a whole new kind of electronics: microcomputers. Although microcomputers were a limited market at the time, Akiba's store owners had gambled wisely on this shift, as the dawn of the computer age was nigh, and with it came the ultimate customer base: nerds. Dedicated fans with disposable incomes and an intense passion for their respective niches, nerds – or, as they say in Japan, "otaku" – quickly transformed Akiba into a true cyberpunk utopia of sorts. It's still an Electric Town, but let's just say this ain't your granddaddy's electricity no more! The subsequent transition Akiba made from a computer otaku focus to video game and anime otaku, idol singer otaku, maid otaku, etc. 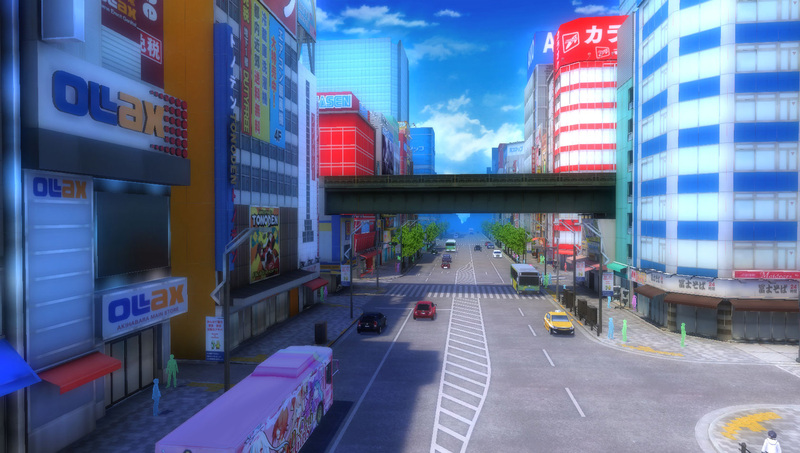 was a smooth and fairly natural one, and while the exact specialties of Akiba keep changing from year to year (an important narrative theme in Akiba's Beat), the spirit is always the same. Ultimately, if you're a nerd for anything at all, you're very much among your people in Akihabara. So, should you ever find yourself in the Tokyo area, be sure to check the place out! Words don't really do it justice. And hey, if you've played Akiba's Beat before visiting (or what I hear is another great game called Akiba's Trip: Undead & Undressed), you might even be able to impress your friends by taking the lead and showing them around like you've lived there all your life… assuming your friends are the types of people who would be impressed by something like that, anyway. Though if they are, you should absolutely visit Akihabara with them right now! Just make sure you've got your PSVita copy of Akiba's Beat with you to play on the airplane so you don't get bored en route. True gamers should always come prepared! ©2016-2017 ACQUIRE Corp. Licensed to and published by XSEED Games / Marvelous USA, Inc. “PlayStation”, “PS” Family logo and “PSVITA” are registered trademarks. “PS4” is a trademark of Sony Interactive Entertainment Inc. The ESRB rating icons are registered trademarks of the Entertainment Software Association.